Johnson and Johnson Baby Oil - 3 Oz. Johnson and Johnson Lubriderm Fragrance Free Daily Moisture Lotion - 6 Oz. 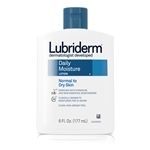 Lubriderm Daily Moisture Lotion - 6 Oz. 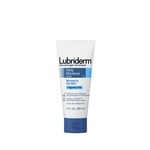 Lubriderm Advanced Therapy Body Lotion - 6 Oz. Johnson and Johnson Neosporin Plus Maximum Strength Ointment - 0.5 Oz. Johnson and Johnson Neosporin Original Ointment - 0.5 Oz. Johnson and Johnson Visine For Contacts Plastic Squeeze Bottle - 0.5 Oz. Johnson and Johnson Visine AC. Eye Drops Bottle - 0.5 Oz. 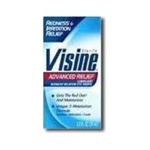 Johnson and Johnson Visine Advanced Relief Eye Drops Bottle - 0.5 Oz. Johnson and Johnson Visine Original Formula Eye Drops Bottle - 0.5 Oz. Benadryl Childrens Allergy Liquid Cherry - 4 Fl. Oz. Desitin Ointment - 2 Oz. 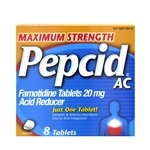 Imodium A-D Liquid - 4 Oz. Zyrtec 24 Hour Allergy Liquid Gel - 10 Mg. Wet Skin Kids Sunblock Spray - 5 oz. Roc Retinol Correxion Deep Wrinkle Cream Tube - 1 fl.oz. Roc Retinol Correxion Deep Wrinkle Serum - 1 fl.oz. Roc Retinol Correxion Deep Wrinkle Daily Moisturizer - 1 fl.oz. Reach Interdental Dentotape - 100 yd. Desitin Creamy Ointment - 2 Oz. Desitin Maximum Strength Original Ointment - 4 Oz. Polysporin Ointment - 0.5 Oz. Lubriderm Daily Lotion Shea and Cocoa Butter - 16 fl.oz. Desitin Rapid Relief Cream - 4 Oz. Imodium A-D Anti-Diarrheal Liquid - 8 Fl. Oz. Bengay Cold Therapy Gel - 4 oz. Clean and Clear Morning Burst Orange Scrub - 5 oz. Clean and Clear Dual Action Moisturizer - 4 fl.oz. Zyrtec Liquid Gel - 10 mg.
Reach Clean Burst Dental Cinnamon Floss - 55 Yds. Benadryl Extra Strength Itch Relief Stick - 14 Ml. Polysporine Antibiotic Ointment - 1 Oz. Zyrtec 24 Hour Hive Relief Syrup - 10 Mg.
Zyrtec 24 Hour Allergy Tablet - 10 Mg.
Clean and Clear Advantage Acne Spot Treatment - 0.75 Oz. 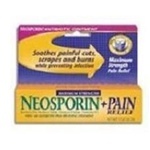 Neosporin To Go Pain Relief Spray - 0.26 Fl. Oz. Johnsons Baby Oil - 20 Fl. Oz. 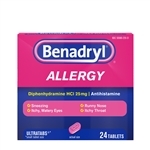 Benadryl Childrens D Pe Allergy Sinus Liquid - 4 Fl. Oz. Childrens Sudafed Pe Nasal Decongestion - 4 Fl. Oz. Childrens Sudafed Pe Cold and Cough Grape Liquid - 4 Fl. Oz.